Brian Wilson has revealed he isn't a fan of today's music scene. The former Beach Boys star, who turns 69 on June 20, prefers classics from George Gershwin and Phil Spector rather than the tunes dominating the charts. "My favourite music is George Gershwin, doo-wop songs and Phil Spector's recordings. I don't listen to modern music. It's a bunch of c***," he said, before correcting himself. "Don't say 'c***'. "You should write that I said, 'Baloney... new music is a bunch of baloney'." 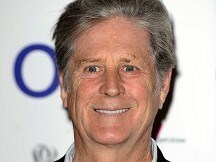 Brian's new album Brian Wilson Reimagines Gershwin, which is out now, came at the end of a lengthy creative dry spell. Before writing the new arrangements, he hadn't written a song for four years, but not through lack of trying. "I've not written in so long. I sit at the piano but my hands don't want to do it. 'What the hell's going on here?' I say, 'Come on Brian, I know you can do it' but nothing comes out. Then I get a spark, but I can't understand why I'm having such a dry spell," he admitted. It is unlikely he would make another album, but he is looking forward to his return to the UK in September for live performances. "It's so much work. I feel I can sing now, and I feel comfortable on stage. I feel I can sing God Only Knows the way Carl would sing it, or Surfin' USA like Mike would. I feel happy on stage. Happiest of all," said Brian.